Have you ever been confused about the difference between the words allergen and allergy? Are they correlated? Sure they are but by no means do they mean the same thing. An Allergen is medically defined as any substance, often some kind of protein that triggers an allergic reaction in a being who is sensitive to it or any substance capable of inducing an allergy. According WebMD an allergy is a reaction by your immune system to something foreign infiltrating the body. Your allergy is actually the body’s attempt to expel something that does not belong in the body. This overreaction to the foreign substance is manifested by the release of histamine. The histamine is an organic compound involved in immune and inflammatory responses causing everything from sneezing, runny nose, swelling, nausea, skin rash to anaphylaxis (an extreme hypersensitive response) and other severe reactions. 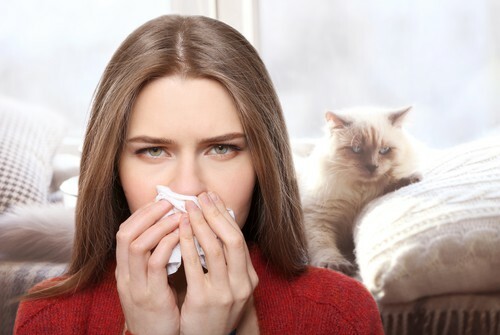 Allergens and allergy have a cause and effect relationship. As a result of one the other is initiated. Because of an allergen your body responds by triggering an allergy to rid your body of the allergen or neutralize it. Health experts have estimated that more than 35 million Americans suffer from upper respiratory symptoms associated with allergic reactions. Airborne allergens are also referred to as aeroallergen. Pollen is a powdery substance containing pollen grains. A nasal allergy to pollen is called pollinosis and a specific allergy to grass pollen is called Hay Fever. Hay fever is also referred to as seasonal allergic rhinitis. Most of the pollen that trigger allergic reactions are from plants that count on air to transfer their pollen to other flowers. Grass Pollen is another anemophile produced by grass. If grass proteins gets into the body from a cut or scrape anaphylaxis may occur in severe cases. Unlike tree pollen weed pollen hits its high point in mid-September. It affects more than 23 million Americans and come in 17 different species. Their pollen is a fine powder that typically beings in August and should end in November. The Institute of Medicine found evidence linking indoor exposure to mold to respiratory tract symptoms. The truth about mold is to some extent there is always a little bit of mold everywhere. Mold will grow anywhere there is moisture. For years it was thought that cat fur was to blame for people’s allergies. It turns out that cats produce a protein called Fel D1, a glycoprotein found in pieces of dry cat skin that become airborne when cats groom their coats. The protein is also in cat saliva. Male cats produce more Fel D1 than female cats. Dog allergens like cat allergens are very light weight and small. They remain airborne for long period of time. The jagged shapes on the microscopic flakes of skin make it easy for them to attach themselves to furniture and fabric. The Dermatophagoides farinae Hughes, or American dust mite can be found on human beings, in bird nests and in rare occasions in bee hives. They eat shed skin cells and thrive in humid environments including but not limited to bedding, upholstery and carpeting. Roaches may give you the creeps. If you didn’t know, they also trigger allergies and asthma too. The saliva and waste from roaches have been directly linked to aggravating allergic symptoms when they are airborne. Did you know 63% of homes in the US contain cockroach allergens?